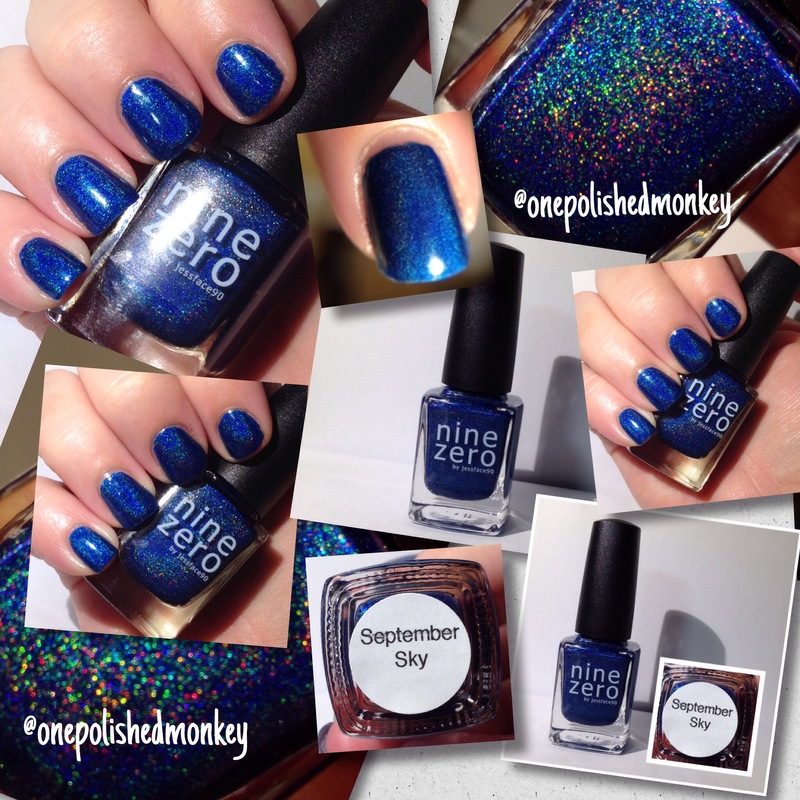 Nine Zero Lacquer is a new indie brand with less than a year under their belt, but they hit the ground running in September 2015. 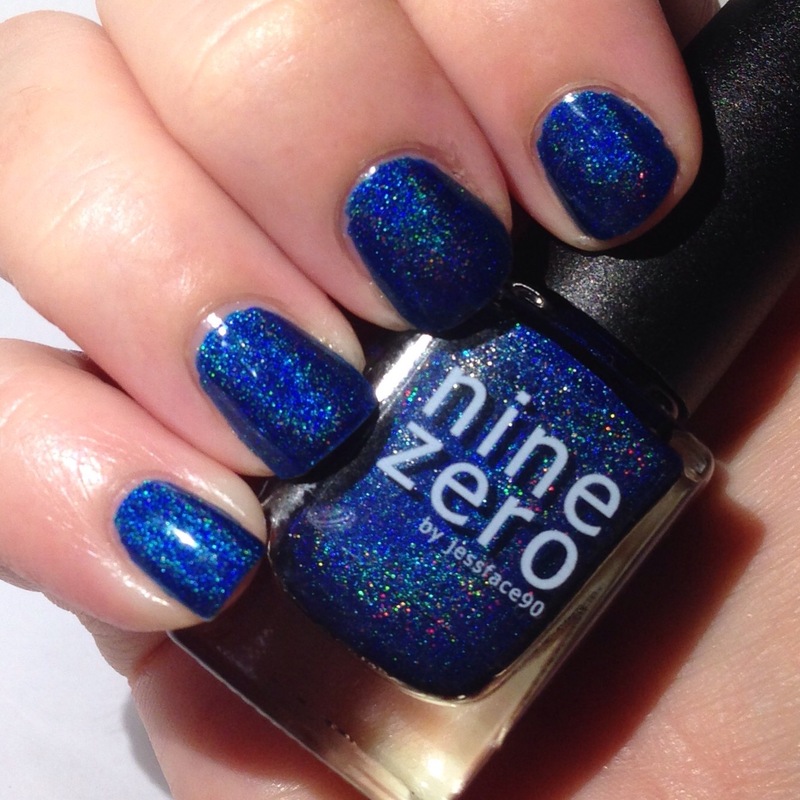 For those that don’t know about Nine Zero Lacquer it was created by YouTuber JessFACE90. She initially got her feet wet with a collab done with Native War Paints released in August 2015. I was late to the game and didn’t pick up any of those polishes. Yes, I’m kicking myself for it. 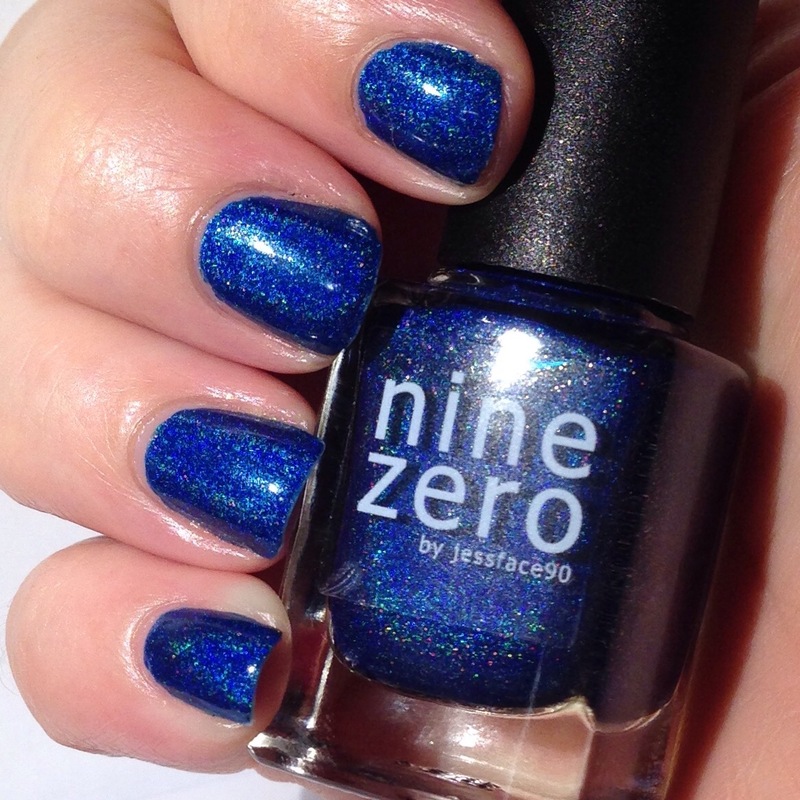 I’m also kicking myself for not picking up the Opening Day duo that Jess released under Nine Zero Lacquer. 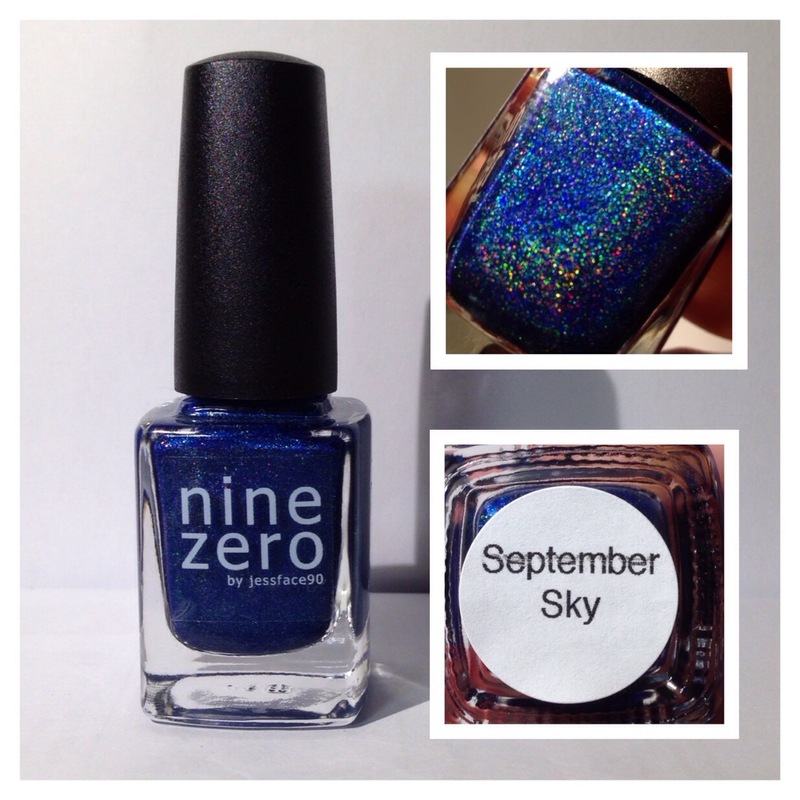 I have been able to get my hands on one of the polishes but no luck with the other. Jess did hint to me through email that it may be coming back again this fall but with a different name. YES! 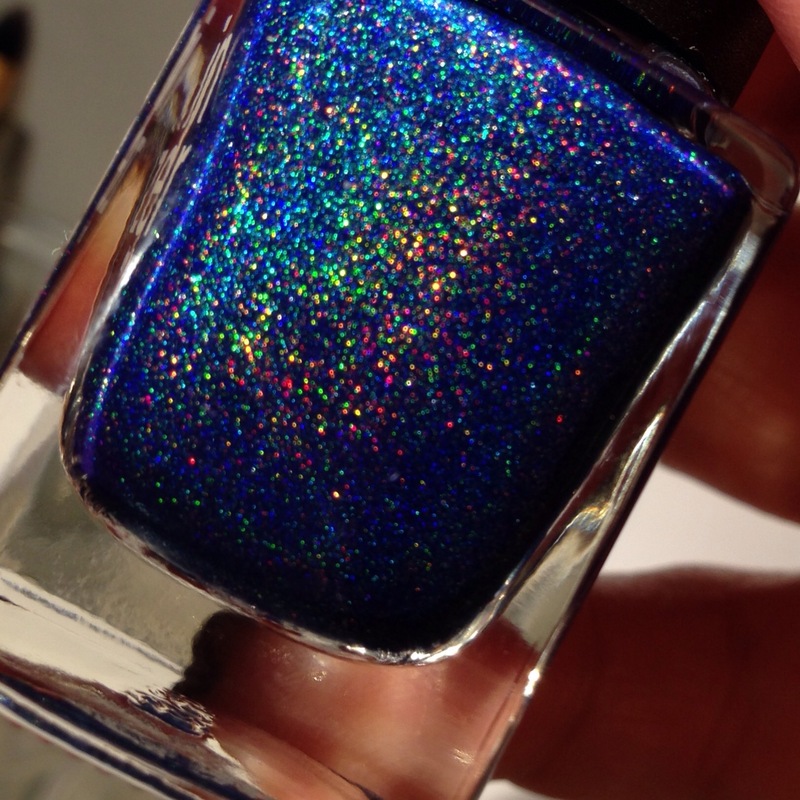 This deep blue holographic polish sings to my soul. I have been tempted more than once to wear this polish again. I had to finally remove it from my nail polish desk to avoid its magical powers. 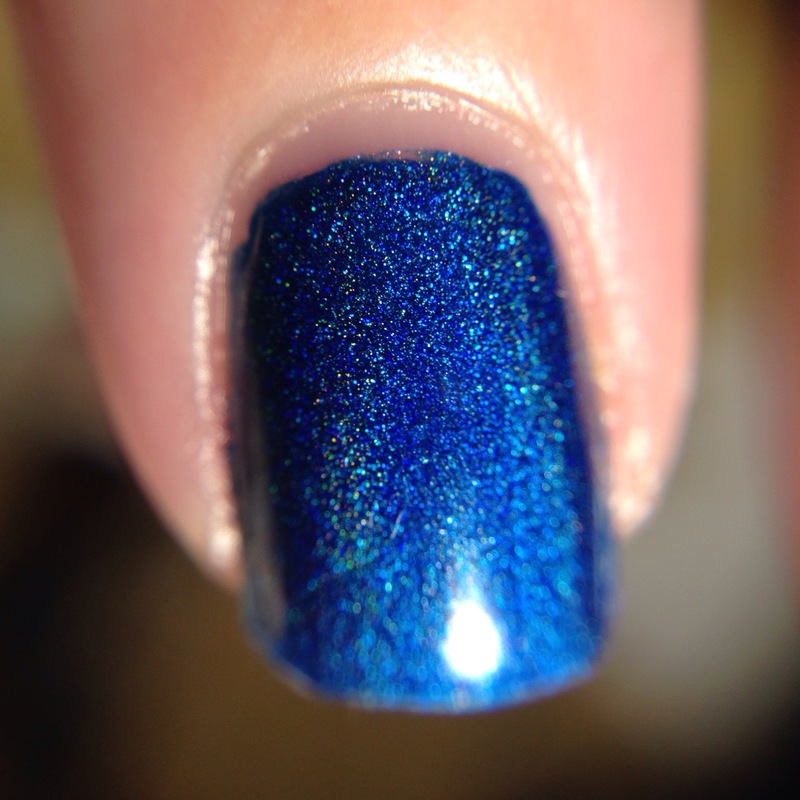 Two coats and its completely opaque and ready to capture the light with its holo-ness. This is one indie brand that is high on my purchase list and even has me creating a monthly reminder to check her site out.